Brian K. Leishman, Founder of The White Lotus System of Unarmed Combat. Mr. Leishman was born in North Bay, Ontario, Canada on April 14th, 1954. He has spent the last fifty-eight years indulging his curiosity about education, eastern philosophy, martial arts, and more. Mr. Leishman is a martial arts master who focuses on self-development, personal mastery, and the science of unarmed combat. He hosts several websites and has been writing martial art articles since 1995. He currently lives in Canmore, Alberta, Canada. From 1954 to 1964, Brian K. Leishman lived in North Bay, Ontario, Canada. He attended JW Trusler Public School from Kindergarten to grade three, with fond memories of being taught by the founder’s wife, Mrs. Trusler in grade one. It was around this time when Brian was first exposed to Oriental culture. He clearly recalls eating at the Golden Dragon Restaurant with his parents, and being drawn to the atmosphere and people. Shortly after, Brian was introduced to the martial arts by his mother when she skillfully demonstrated a few Judo moves on his friend Paul. 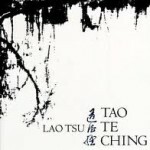 Being fascinated with the structured and classical execution, an early passion and interest grew for the martial arts. As with most children, much of Brian’s formative years were spent in school. After class, he could be found helping his parents’ at their general store, where he stocked shelves and aided his dad as a butcher. 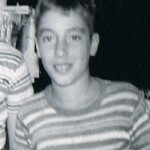 Brian attended several schools, such as the original two room Alcona Glen Public Schoolfor grades four and five. By grade six, Brian began at Innisfil Central School and Sunnybrae Public School for seven and eight. Finally he attended Central Collegiate High School completing his formal schooling. 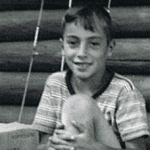 It was during this time that Brian attended Boy Scouts, and learned a great deal about wilderness and survival. Shortly after, he joined the Air Cadets where he had his first exposure to boxing at age 13. It was clear he had a talent for unarmed combat, even at such an early age having bested several others, including the 19 year old instructor conducting the boxing the class. During the two years between 1970 – 1972, Mr. Leishman worked at a couple different jobs, each offering an opportunity to express some form of discipline. Much of his leisure time was spent in Chinatown, immersing himself in culture and activities pertinent to martial arts. This extended into watching martial arts films as well. This was at a time when sub-titles on foreign movies didn’t exist, which is why Brian recalls often being the only Caucasian at the theater, waiting patiently between fight scenes. His enthusiasm for martial arts on film and television continued as he even recalls having watched the original movie for the Kung-Fu series when it first aired on television. Although he couldn’t afford to train in Toronto, Brian’s fascination with martial arts didn’t end with films and TV. He also took to time to expose himself to all kinds of teachers and theories as circumstances would allow. Throughout this time he read and researched diligently into all kinds of martial arts, devouring several books on Judo, Karate, Kung Fu, and Tae Kwon Do to name a few. He loved and appreciated each style as they served to enrich his overall understanding of unarmed combat. Brian’s yearning to study authentic martial arts eventually caused him to leave Toronto in the summer of 1972. Hoping to work his way on a boat towards China, he hitchhiked across Canada, all the way to Vancouver, British Columbia at the age of 18. His lack of worldly experience was expressed through the absence of a Canadian passport or travel visa, which brought his dreams to an abrupt and disappointing halt at Vancouver’s mountainous harbor front. Dejected, and uncertain where fate would take him next, Brian headed back on the road again. Brian accepted an invitation for food and rest at a small nearby farm located about seven miles south of Prince George, British Columbia. He later discovered that the farm was used as an outreach center, and was run by Arnold Ihlen who founded the Caribou N.E.T (Natural Environment Therapy) Society with his wife Cathy. The overall focus was on self knowledge and healing through introspection. This is where Brian was introduced to a large number of ideologies pertinent to personal growth, The I Ching, and Taoist philosophies. 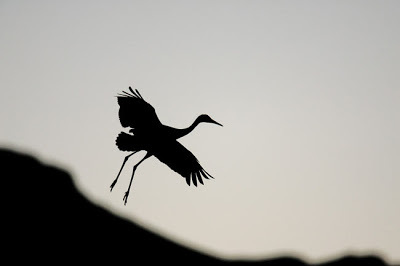 The arrival at the farm turned out to be a fortunate twist of fate for the 18 year old. With fondness, he recalls this period as being a real turning point in his life, allowing him to focus and train at deeper levels than ever before. The 113 acre farm was a very unique and rustic experience, almost like camping for two years straight. There was no running water or electricity on the farm, wood stoves were used to cook with and airtight heaters were the only source of warmth on cold winter nights. During the years at the farm, Brian continued learning martial arts, this time from two different masters who originated from Hong Kong. As luck would have it, they also were living in Prince George. One taught Choy Lay Fut Kung-Fu and the other specialized in Hung Gar Kung-Fu. Brian spent a great deal of time with them, and had a number of lessons from each master. Brian was also fortunate to have the time to delve into theoretical studies as well, beginning with a book called “Kung-Fu and Tai Chi” written by Bruce Tegner. It was using this book that Brian discovered one of the quickest ways to orient the human body with amazing precision. These “orientation aids” enabled him to quickly master what he calls “Spatial Placement” and the replication of physical processes, thus setting the stage for his entry into formal training. Brian considers the years between 1974 – 1979 as his formal martial arts training under Grandmaster Olaf E. Simon. Grandmaster Simon’s studios taught a form of Moh Kempo Kung Fu, lending towards hung gar animal forms, and self defense combat scenarios. Two-man scenarios were forceful, and sparring was more like no holds bared combat. A need to adapt and survive with a high degree of consistency became apparent. The boyish imaginings of childhood movies faded overtime, as a newly emerged reality based perspective took hold. 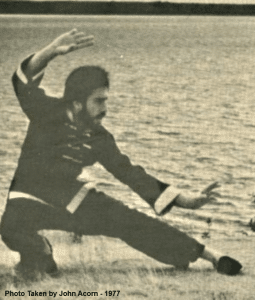 At Simon’s Kung-Fu Studios, Brian became a student in 1974 – 1975, where he learned under Master Phil McAndrews. He then later went onto become an instructor from 1976 – 1979, also working with Grandmaster Frank Lee’s students of the Green Dragon Society. During these years, several fascinating discoveries occurred, as Brian excelled through the ranks of Simon’s Studios. He became the fastest member to achieve a lower ranking masters degree, having done so in only 18 months. Armed with desire, and self knowledge of his own physical, mental, and emotional processes, Brian was certainly at an advantage. His form was impeccable, and his adherence to classical presentation and timing were equaled only by his ability to adapt in sparring. Brian’s fighting abilities were far more evident than the strategies he utilized to achieve his victories. As a Green Belt he amazed his instructors by taking on a great deal of duress against multiple opponents, taking them out with the greatest of clarity. A desire to understand the combative process, and how to achieve consistent success lead him to eventually discover a range of combative considerations, universal to any situation. In principle, he understood that these considerations could be actualized in certain arrangements, causing greatly increased odds of survival. Through use of these considerations, he understood that greater levels of control could be achieved and went on to use Simon’s Studio as a test bed for these ideologies. Brian continued to demystify the combative process, until he eventually left and founded his own system. 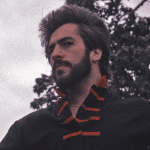 In 1980, Brian went on to develop the White Lotus System of Unarmed Combat®, a unique form of martial arts that deals with the science, and causality ofcombative events. White Lotus focuses on understanding the combative considerations ofunarmed combat, a thorough understanding of which can yield incredible adaptive skill. Brian then opened up a chain of martial arts locations branded under Energy Lake Studios to teach basic skill development. Energy Lake was eventually sold in 1989, after it was apparent that only limited growth of White Lotus could occur with so many locations in place. Brian then turned towards full-time development of the White Lotus Combat System and White Lotus Temple. Development of the White Lotus System of Unarmed Combat® continued in Canmore, Alberta via a National Training Center from 1990 – 1995. The focus was on an instructors training program, and content associated with teaching basic skill development. With the system’s content being whole and complete, the time came to share the system’s ideologies,practices, and standards via CD-ROM, which later evolved into the system’s Learning Portal. It’s here that the system’s principle considerations of the combative process are laid out and taught in a structured manor, enabling one to adapt to random combative events. Since this time, Brian has conducted several seminars and workshops in central and western Canada. When not providing workshop instruction, he continues to update the White Lotus Learning Portal. Visit Brian’s website for more details. What’s in a Crane Stance? Day Two of the basic skill development workshop tonight conducted by Brian K. Leishman. The overall focus is on the attributes associated with single leg stances (e.g. crane stances). These biomechanical positions are used in the lower body region to guard, strike, block, and parrying. Ever wondered why you don’t see many Crane (single leg) Stances in professional fighting? Try to recall the last time you ever saw someone in a professional fighting league such as the UFC, where either combatant used an efficient and effective Crane Stance? Probably never. There is a real reason for this. The answer is that people do not use what they don’t believe will work for them. This applies to any subject matter in any industry, but especially within the Combative Arts. Within our system we often speak of “Professional Kata” demonstrations, where world class masters of style display their various forms. But interestingly enough, we never see those same forms used when those same individuals begin to fight or spar. Why? Because they can’t make it work. But just because millions of people are doing something wrong, doesn’t make it right. Nor does it discount the fact that it’s possible to utilize these forms in an effective combative manor. If you’d like to understand how to do this, I recommend attending our next workshop.